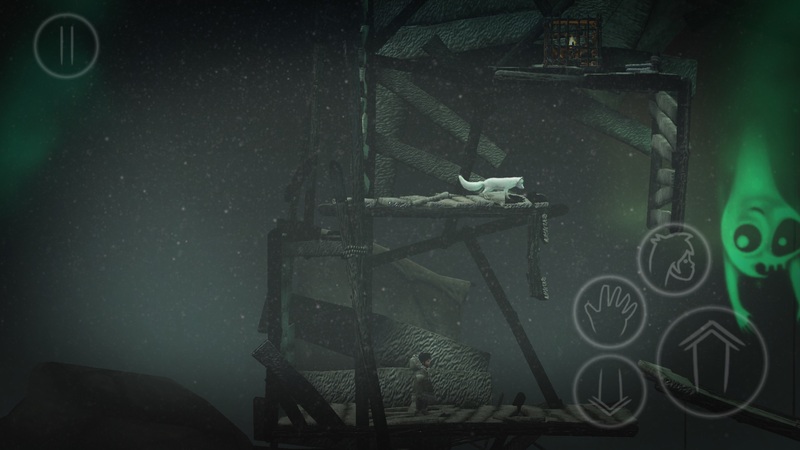 Never Alone: Ki Edition ($4.99) is a game that seems to set out to do at least two things. First and foremost, it’s trying to deliver an atmospheric puzzle-platformer game. It mostly succeeds at that, though it certainly makes a few mistakes that we see fairly often in this sub-genre. 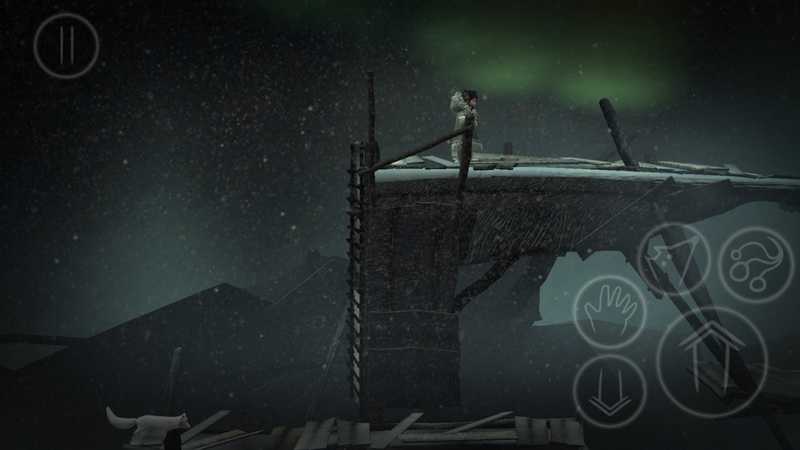 Never Alone also seeks to educate the player, at least a little bit, on the folklore and culture of the Inupiat people, and in this aim, it’s a considerable success. The game doesn’t force any of this on you, but rather focuses on the core gameplay and stunning visuals. It’s an enjoyable game on those terms, but if you choose to delve into the extra content, you’ll be able to appreciate Never Alone in a new light. 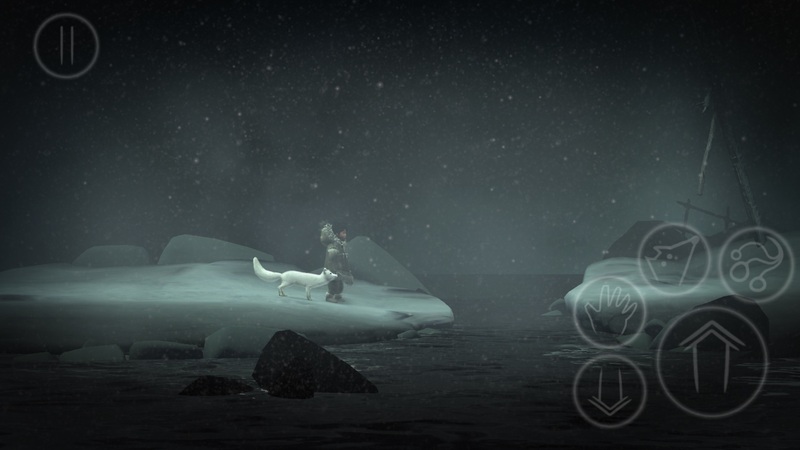 In Never Alone, you play as an Inupiaq girl named Nuna. Her village is set upon by a terrible blizzard, preventing anyone from hunting or doing much of anything that requires going outdoors. With time ticking on the village’s supplies, Nuna decides to set out to find the source of the blizzard. She’s soon joined on her journey by a fox who can sense and interact with the many spirits scattered across the land. There are occasional battles that the pair will have to deal with, but most of the challenges in the game come from the hazardous terrain. You’ll have to swap between characters, using their unique abilities to open a route forward. It’s a style of gameplay we’ve seen many times before, from classics like The Lost Vikings to more contemporary efforts like Brothers: A Tale Of Two Sons ($2.99). If you’ve played a few games with this kind of set-up, you won’t run into much that is mechanically surprising in Never Alone. Nuna can push and pull heavy objects and, eventually, use her bolas to break things. The fox is smaller and more agile, and can use his ability to commune with the spirits to create and move platforms. Imagine a sequence where Nuna pushes a block so that the fox can jump off it, reach a high ledge, and toss down a rope for Nuna to climb, and you’ve got the gist of what you’ll be doing here. Beyond the puzzle elements, there’s a fair bit of platforming involved in the game, and towards the end, it can actually get pretty tough. The game checkpoints frequently, though it doesn’t save every time it checkpoints, so be careful. The checkpointing behavior is a good thing, because Never Alone is one of those games that likes to drop a ton of bricks on you out of nowhere, with virtually zero chance of avoiding certain obstacles and traps the first time. In general, it’s best to keep moving, as platforms will often break underneath your feet, but there are also plenty of occasions where you need to stop and let the fox reveal the way forward. If you keep moving in those parts, you’ll plummet to your death. Once you know where things are, it’s not a difficult game, though the last couple of areas can be very tricky. Towards the end of the game, you’ll need to quickly switch between the characters to perform actions under a fairly strict time limit. This is where the touch controls, which generally behave themselves for most of the game, start to crack under the pressure. If you have an MFi controller, you don’t have to worry as much about this, of course. For those using touch controls, you might find yourself running into a few frustrations in tense situations. Turning around at a moment’s notice on the virtual stick can be a problem, and with four or five virtual buttons on-screen, situations where you need to quickly do an action with one character, swap to the other, and perform another action often end in heartbreak. It’s not awful, and a little perseverance will likely get you over any wall the game has to offer, but it can certainly be frustrating in a few spots. I also encountered a few clipping bugs that had poor Nuna fall through a solid wall to her doom or get temporarily stuck. Most of those occurred when I went off the game’s intended path, though. Never Alone is only a few hours long, but I feel like that’s about the right length for it. You’ll have seen most of its cards by the end of the first half, while the rest of the game simply tests your mastery of the skills you learned earlier. The game is at its best when it’s running you through the paces of tried and true mechanics. The infrequent attempts at more creative solutions don’t come off quite as well simply because it’s hard to figure out what the game wants you to do. If you take too long to solve a puzzle, you’ll get some gentle hints, but that’s not a very satisfying outcome. Happily, the game is more than content to keep you running, jumping, and climbing through most of the stages, and those parts typically work quite nicely. It doesn’t hurt that the game is absolutely gorgeous. Never Alone really flexes the muscles of your device, producing wondrous snowstorms, dazzling lighting, realistic water, and structures that fall apart in a fairly believable manner. The audio is no slouch, either. The sound effects help pull you into the wintry environs. The combination of the crunching snow underneath Nuna’s feet and the sound of the howling wind made me homesick for Northern Canada. The game has a narrator, as well, who occasionally cuts in to further the story. His lines are 100% Alaskan Inupatian, with subtitles in the language of your choice, adding to the game’s authenticity. The amazing presentation comes at a cost, however. My iPhone 6S Plus has never been hotter than it was playing this game, to the point that I had to take breaks every 20 minutes or so because it was getting too hot for my hands. Is that a good thing for the hardware? I have no idea, but it’s not hard to see why it’s happening when you look at the game in motion. It should go without saying, but Never Alone is a serious battery-drainer. It’s easy to get absorbed in the game’s fantastic atmosphere, but make sure you either keep an eye on your battery charge or just plug in to play. I was losing about 40% of the battery life on my device every half hour or so. I’m truly impressed at how the game layers in elements of Inupatian folklore like the Sky People and Manslayer without feeling the need to stop and explain everything. These myths and legends are simply present as part of the gameplay, and if you don’t care to know anything further about them, the game is okay with that. If, on the other hand, you do want to know more about them, Never Alone has you covered there, as well. As you play through the levels, you’ll come across owls. Some are nearly unavoidable, others are hidden. Each one unlocks a short video that explains some aspect of Inupiat culture. These cover topics ranging from old legends like the Little People, to general explanations of the subsistence culture, to contemporary issues facing the community such as climate change. These clips aren’t very long, but they pack a lot of information into them. It’s a great reward for tracking down all of those owls, and definitely worth some of the aggravating deaths you’ll suffer in the pursuit. 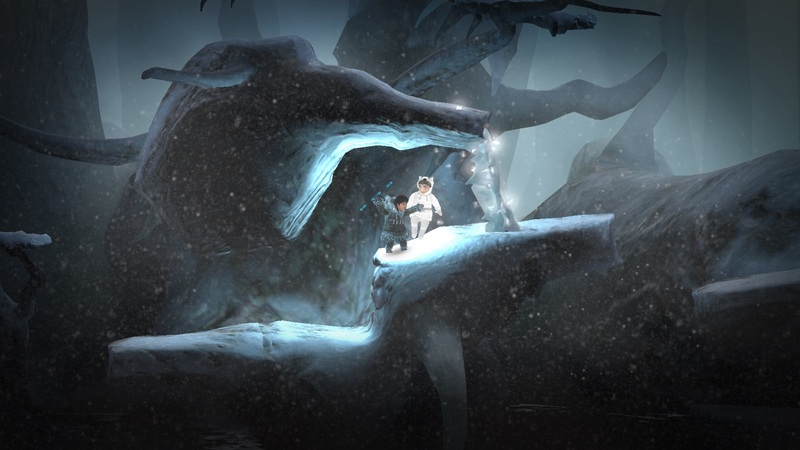 From a purely mechanical point of view, Never Alone is good more often than it’s great. It uses a lot of impressive set pieces, sometimes at the expense of fair design, but there’s enough meat-and-potatoes platforming and puzzle-solving in here that it pulls through fine. It’s the excellent presentation and thoughtful use of Inupiat traditions and mythology that stand out the most, however. Never Alone errs on the side of being an experience above all, but for a game of that type, the mechanical side is fairly robust. That said, I honestly found the trimmings more exciting and interesting than the gameplay itself. It’s probably worth picking up for that aspect alone.